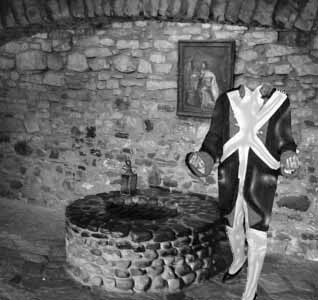 The headless French soldier of Old Fort Niagara has become as much a part of the fort’s history as the Revolutionary War. 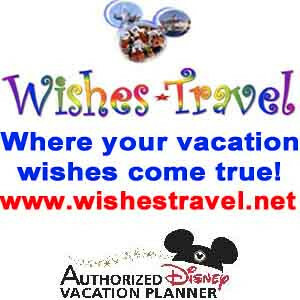 The Fort was first constructed by the French, occupied and maintained by British and then eventually the Americans. However, in October it’s the specter of a ghostly headless French soldier that commands all of the attention. 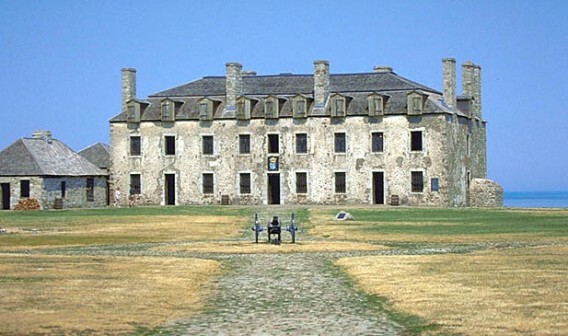 During the French occupation of Old Fort Niagara a party was held in the building known as the French Castle. The French Officers had brought in Seneca maidens from a near by village to give the party a much needed female presence. Henri Le Clerc was one of the French officers who had escorted the maidens to the castle and one of the maidens was named Onita whom Le Clerc was particularly fond of. When Le Clerc arrived with Onita and the other native American women, the party was well underway. Also, many of the French officers had already drank more than their share of wine. Officer Jean-Claude De Rochefort, who was strongly disliked by Henri Le Clerc, made a point of sitting himself on the other side of Onita. Henri Le Clerc tried to ignore Jean-Claude’s advances, but it was useless. Jean constantly interrupted and his boorish behavior worsened as he drank more and more wine. Fueled by the wine and genuine dislike for each other the argument led to a duel by swords. The duel took the pair to the twisting stairwell and Henri tripped and fell, striking his head on the stone floor. The drunken and enraged Jean-Claude took advantage of his unconscious foe and speared him with his sword as he lie on the floor helpless. The sense of triumph quickly faded as the reality of his deed began to sink in for Jean-Claude. Now faced with the prospect of hanging for the obvious murder he had committed, Jean-Claude panicked. Wanting to hide his crime, Jean-Claude began to hack at the body of Le Clerc. Jean-Claude did hack off the head of Le Clerc and ran with it out to the lake. Returning, he noticed the blood he left on the floor and he quickly mopped it up. Ready to resume his horrible task, he heard the sound of voices from above and realized that the party was ending and the officers and the girls would be coming down the stairs at any moment. Lacking time and fearing discovery, Jean-Claude mustered all his strength and carried the body to the stone well and threw it in. The party ended and the officers staggered back to their barrack. No one wondered where either Jean-Claude or Le Clerc were and assumed they must have retired ahead of them. In fact, surprisingly it took several days before anyone questioned where Le Clerc had disappeared to. A search was organized to locate Le Clerc, but of course it was doomed from the start. Onita was convinced that Henri had been murdered by De Rochefort, but she had no way of proving the deed. As the story goes, Onita stopped going to parties at the castle, feeling her beloved was dead. Then after several months on a September night Onita decided to attend a party, but only to listen and learn whatever she could on the fate of Henri Le Clerc. Onita ended up meeting another French Officer by the name of Jaques, who was greatly impressed by her. So much so that weeks later Jaques went to Onita’s village to see her again. On the night of Jaques visit the moon was full and with a red haze, sometimes called a “blood moon.” Jaques and Onita sat among several of her tribesmen talking when she brought up the subject of Henri. Jaques was uncomfortable discussing the missing officer among Onita’s tribe and suggested they walk over to the castle. 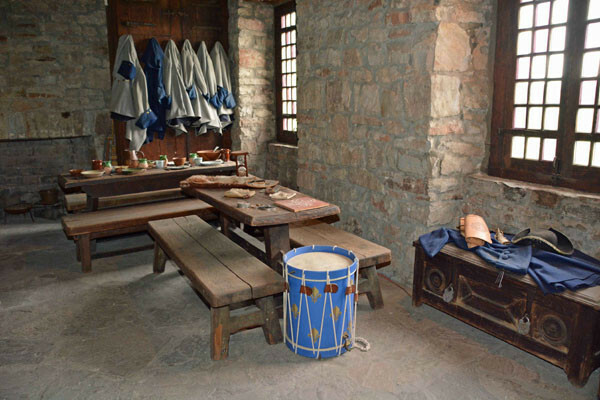 The pair arrived at the vacant castle around midnight and the soldiers were fast asleep in a neighboring barrack. Jaques attempted to tell Onita how he looked for Henri on the night of his disappearance when suddenly both heard a noise like something scraping against stone. As the clock struck midnight the pair stood paralyzed as first one hand then the other reached out over the edge of the well located in the front hall of the castle. Next the forearms of a man emerged dressed in a worn and tattered French soldiers uniform. 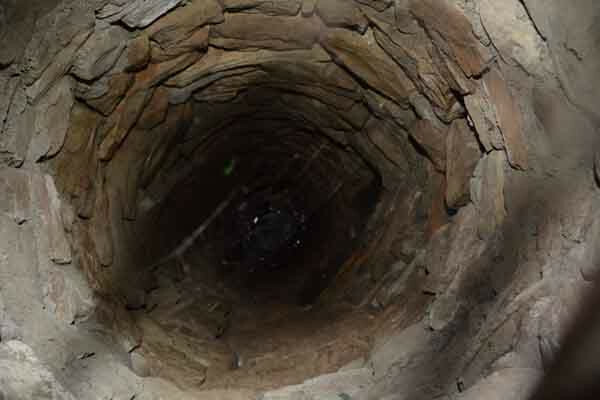 The figure pulled himself up and out of the well, but atop his shoulders there was nothing. It was a headless French soldier looking for his lost head. The headless French soldier, dressed in the uniform of Henri Le Clerc stood there in front of a horrified Jaques and Onita. The pair ran from the French Castle as fast as their legs could carry them, but they were now certain they knew the truth. It was obvious to them that De Rochefort had murdered Henri and dropped his headless body into the well. Their theory was verified the next morning when Jaques had the well explored and the body of Henri was found. Soon after Jean-Claude De Rochefort was hanged. The story did not end there as witnesses over the years claim when the full moon is high over the castle and exactly at midnight, the ghost of the headless French soldier, Henri Le Clerc, rises from the stone well. Standing there dripping wet, the headless French soldier then stalks awkwardly through the cold, stone halls of the castle in search of his long lost head. 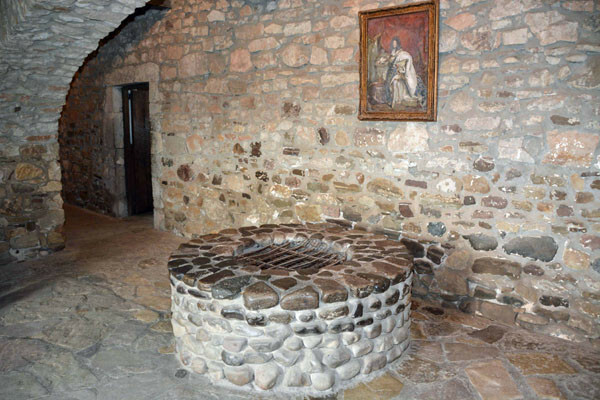 When the British took over the occupation of Old Fort Niagara in the 1700’s they actually filled the well in and covered it over fearing it had been poisoned by the French. In the 1920’s the well was reconstructed by the caretakers of the historic structure and it remains today along with the legend of the headless French soldier. 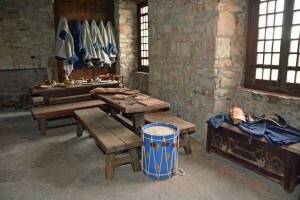 In October Old Fort Niagara has “haunted” tours of the French Castle and other areas of the complex. The story of the headless French soldier is always the highlight.